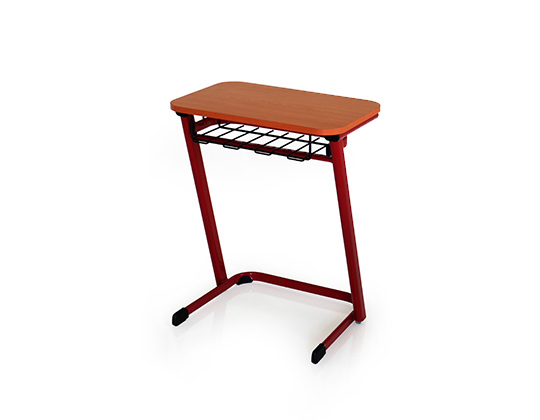 The Focus desk matches the Focus chair in design, with its sleek slanted legs. 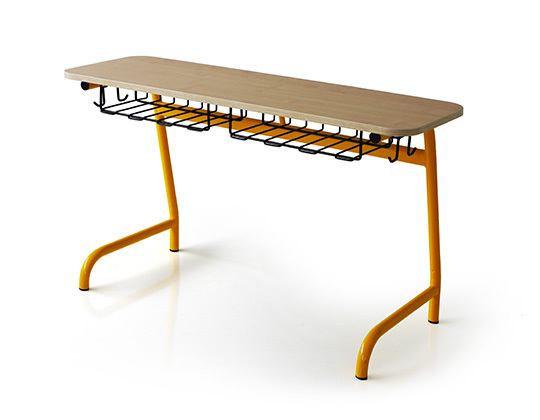 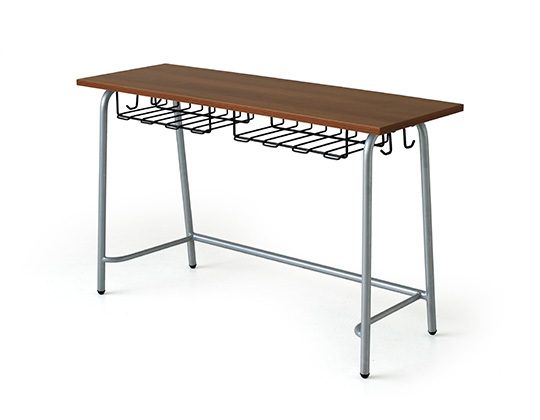 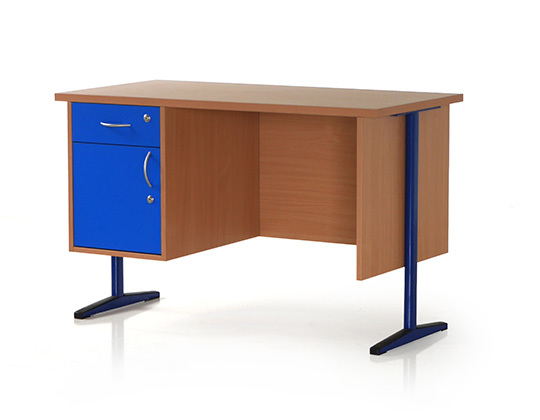 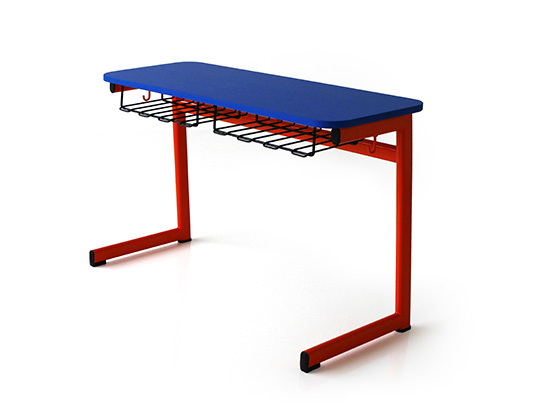 It has a laminated table top with rounded edges and a flat oval tubular frame. 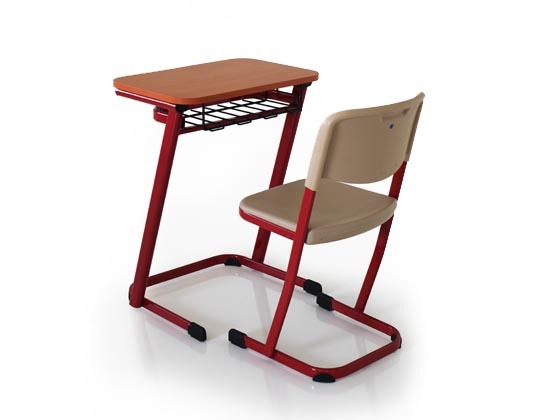 It is available in single and double seater versions.